Following are shopping tips, preparation ideas, and serving suggestions that make eating broccoli simple, delicious, economical, and nutritionally savvy. Note: Use organic vegetables, fruits, beans, legumes, nuts, and seeds whenever possible, because organic produce tastes better, is healthier for you, and doesn't pollute the planet. On your food shopping run, select fresh broccoli that has dark green, tight, dense florets, or flowers. Leaves and stalk should be firm and fresh-looking too. Flash frozen broccoli is a suitable replacement, when the fresh variety looks yellow or is wilted. Store broccoli in the crisper compartment of your refrigerator for a few days, but don't wash until ready to use. Broccoli is inexpensive and is available throughout the year in most supermarkets. The easiest way I've found to clean and prep broccoli is to rinse it in cold water. 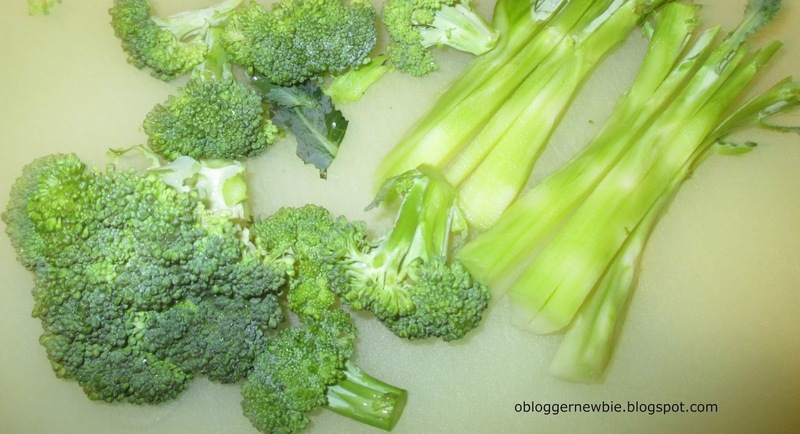 If broccoli seems sandy, soak in cold water and rinse until clean. Use a sharp paring knife and cut across the head, below the florets. Separate each individual flower into a bite-size piece. Don't discard the stalk and leaves; they are edible. The stalk is rich in fiber and the leaves are rich in nutrients. Cut off the tough bottom part of the stalk and the hard outer covering. Chop in small pieces, as the stalk takes longer to cook than the florets. Broccoli should retain its bright Kelly green color, even after it is cooked. Quick cooking (steaming) is the healthiest method to use, because it retains the most nutrients. Don't steam for more than 5 minutes tops. If you accidentally overcook broccoli, it tastes strong and bitter. One way to remedy this is to sprinkle 1/8 teaspoon of salt or low sodium soy sauce to mask the bitter taste. To add a lively dimension to broccoli’s flavor, sprinkle on fresh cut dill, basil, oregano, browned minced garlic, or a seasoning blend that combines a medley of flavors. Add zing to this powerhouse of nutrition, by splashing on a teaspoon of lemon juice or a ½ teaspoon of mild flavored vinegar. Uncooked broccoli is a crunchy addition to green salads, coleslaw, potato salad, and bean salad. 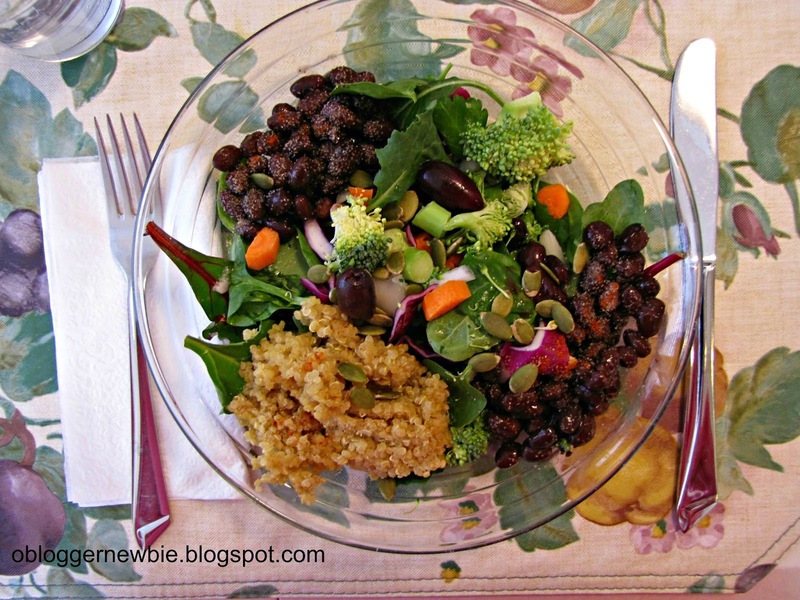 Add raw pieces of broccoli including leaves and stalks to any vegetable salad. Broccoli is in the same plant family with cauliflower, cabbage, garden cress, bok choy, and Brussels sprouts. This green vegetable is a mighty source of folate, vitamin C, calcium, beta carotene, vitamin K and iron. "As little as 10 grams a day or 1/8 cup of chopped broccoli can have a significant effect on reducing your risk for developing cancer," advises Dr. Steven G. Pratt, author of SuperFoods Rx: Fourteen Foods That Will Change Your Life. Here’s another simple, delicious recipe you'll love. It comes from Saveur Magazine. Steamed Broccoli with Sun-dried Tomatoes and Pine Nuts. Note: if you prefer, you can substitute cashews or walnuts. They are more economical and easier to find. Serve broccoli often, because it makes a great addition to any meal and can be easily incorporated into a stir fry, pasta dish, soup, casserole, or stew. If it’s handled properly and not overcooked, this plant powerhouse will nourish and energize you and make you and your family sing its praises. Please take a moment to comment below. Do you eat broccoli often and how do you like to serve it? Did you learn anything new about this superfood? I welcome hearing about your tips and vegan recipes that include broccoli. If you like what you see, please spread the word. Sharing is caring. This post has been shared at the-Healthy-Happy-Green-Natural-Party-Blog-Hop-100, where my post (Use Red to Improve Well-being) from my other blog, Colors4Health.com is the Happy Feature! This post has been shared at Simply-Natural-Saturdays-2 27 16. I have always love broccoli and so does my husband. I like to put it in saute. I have to watch how much I eat of it - doesn't seem to agree with digestive system at times. I usually buy my broccoli either at the farmers market, local health food store and sometime I buy it frozen. Thanks for sharing all this valuable information. Thanks Marla for sharing. I like to grate a touch of ginger on my broccoli lately. It helps both with good digestion and absorption of this powerhouse food. Perhaps that would work for you too.In any event, keep up supporting local small businesses. That is so important. Nancy A.
Hi Nancy - I am not a broccoli lover, but I know it's so good for us. I don't mind it roasted. Thanks so much for sharing with the Let's Get Real party. Hear you Gaye. Wishing you a wonderful day and thanks for reminding me about roasting broccoli. Warm regards, Nancy A. Thanks Ashley for your response. LOL. Eat broccoli this weekend and enjoy! Nancy A. Thanks again Marla. Have a beautiful night. Nancy A. Broccoli is one of my favorite veggies. I love to prepare it with fresh garlic. Thanks for sharing the joys and benefits of eating broccoli with us at the Healthy Happy Green & Natural Party. I'm pinning and sharing. Sounds great. Garlic makes everything taste better, except desserts. Thanks for hosting and spreading the word. Appreciate it! Nancy A. My favorite way to eat broccoli is roasted, with other vegetables, but I enjoy it almost as much steamed and served plain, or when I toss the florets into a creamy soup made with stock pureed with the cooked stem. So good, any way we cook it! I try to eat this tasty veggie almost every day. 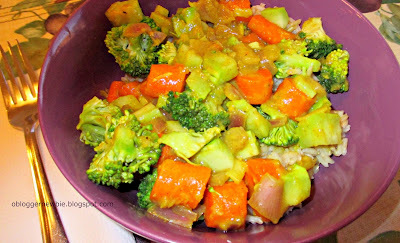 I am so delighted that you shared the wonderful health benefits of broccoli at the Plant-Based Potluck Party. I'm pinning and sharing! You and me both (eat broccoli almost every day). I'm having a fun time pinning and sharing at the party you host. Happy Weekend. Nancy A. Broccoli don't taste good but it is really healthy so you must take it as an ingredient of your regular diet. You can also take help from the natural ingredients to keep yourself healthy and fit for long in the form of juices or fruit or vegetables as whole. Green vegetables and fruits are filled with vitamins and minerals that are necessary for your vital organs. You can also go from the Tahitian Noni Juice so as to maintain good health and it can help in diseases like arthritis,blood pressure, diabetes, skin disorders etc. Thanks Mantis for your comments. Wishing you a great day. Nancy A.
I eat broccoli almost everyday! I love it! Thank you for sharing why broccoli is a smart food choice with us at the Plant-based Potluck Party. I'm pinning and sharing. So happy to be at the Plant-based Potluck party and see all the fabulous recipe ideas. Thanks for hosting! Nancy A.
I like brocooli too. We usually eat it raw. Thanks for the tips. Something to try. Thanks Charlene N.K. for the comments and compliment. Enjoy today!